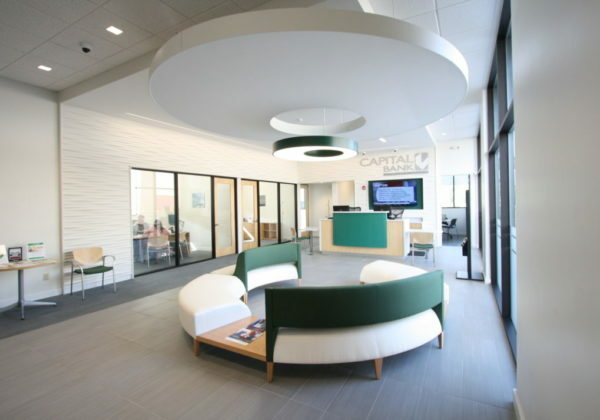 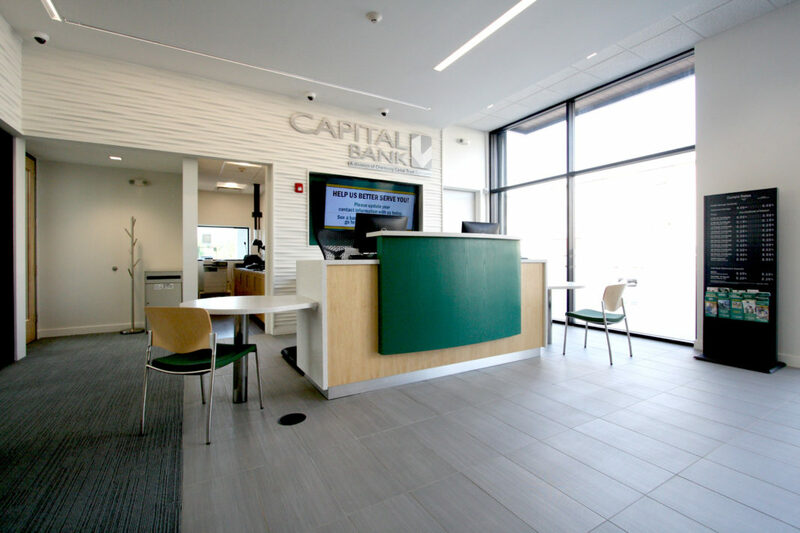 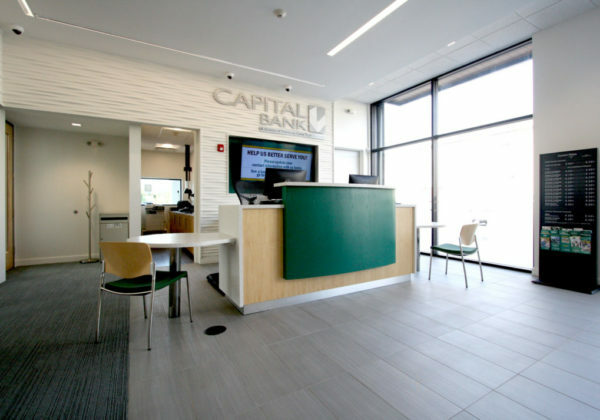 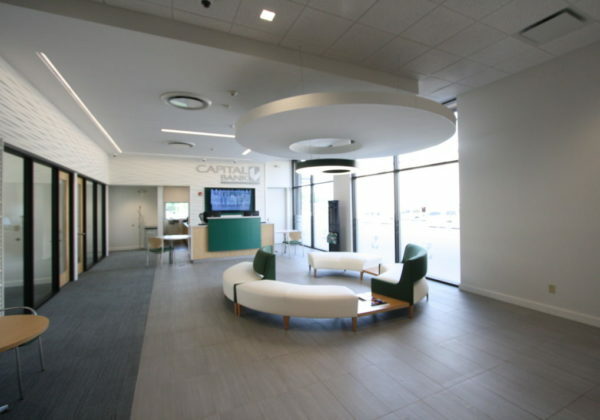 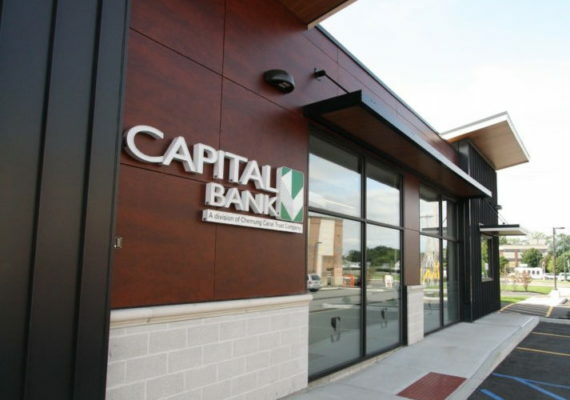 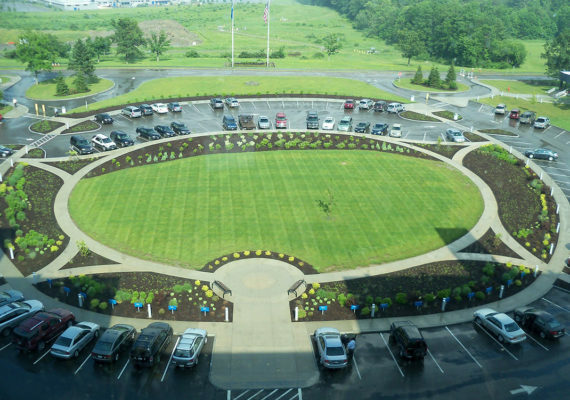 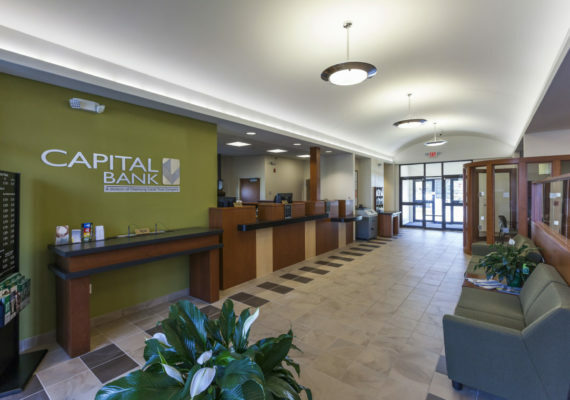 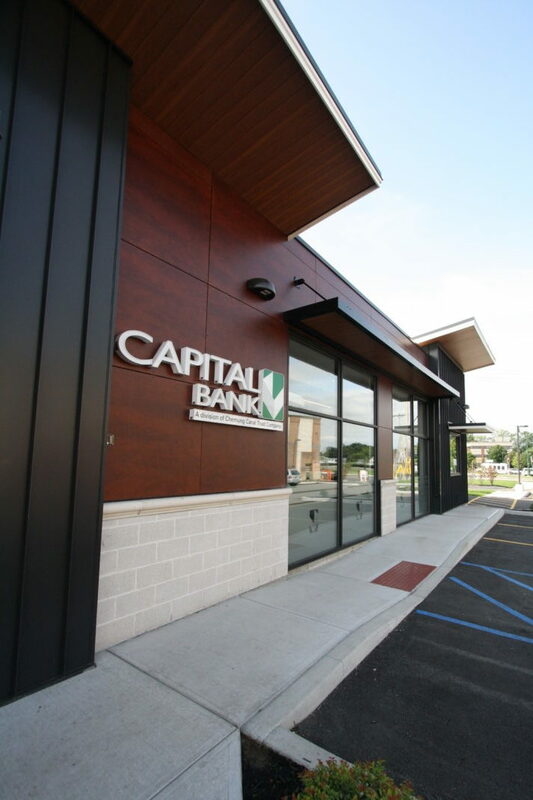 The Capital Bank Mohawk Branch is located in close walking distance to the Mohawk Harbor / Rivers Casino and resort in Schenectady. 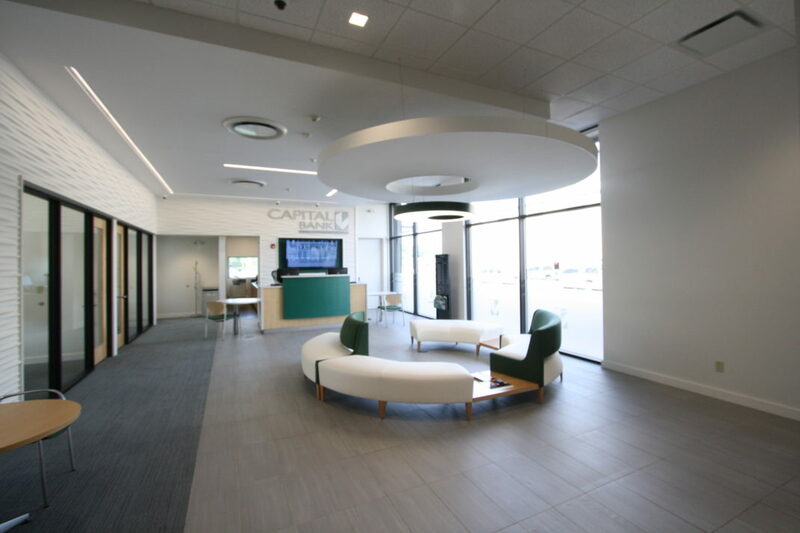 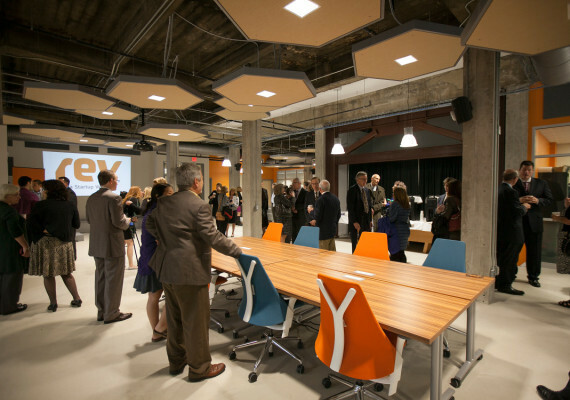 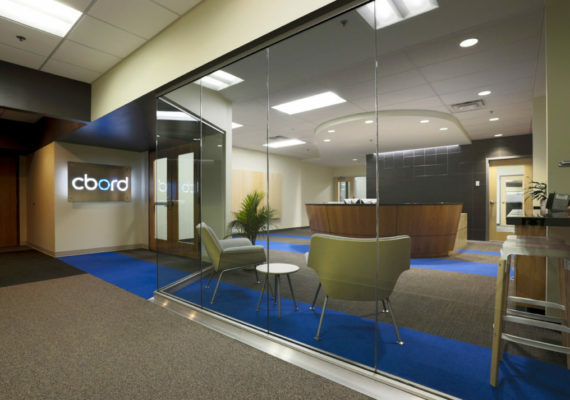 The space is a modern open concept with offices and conference rooms visually connected to the main lobby space and exterior. 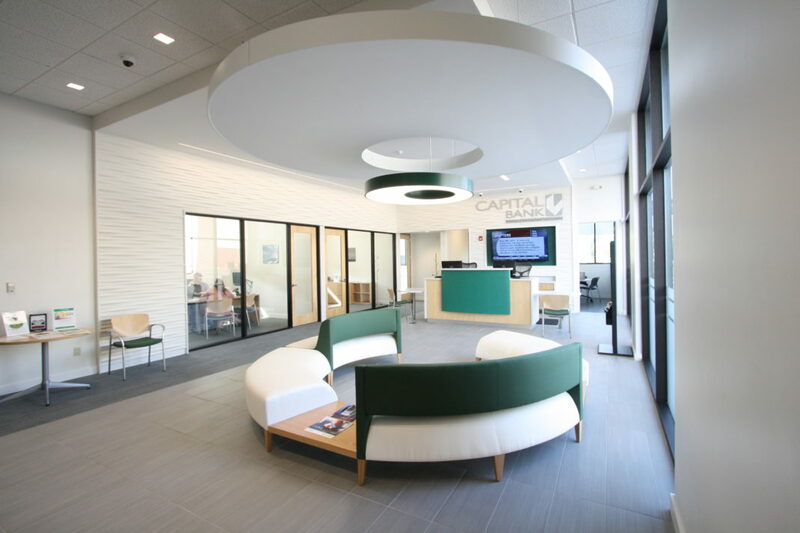 The goal was to design a welcoming space with breakout and seating space for customers and staff. 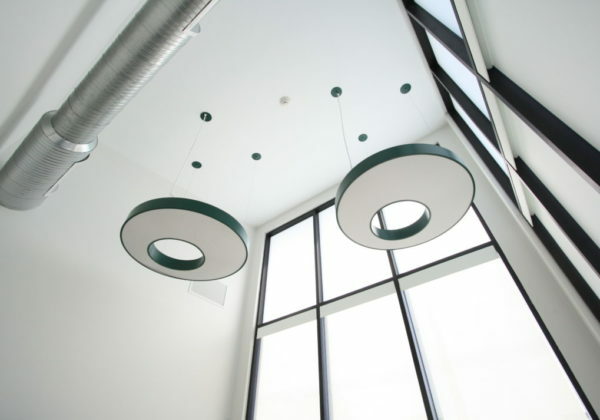 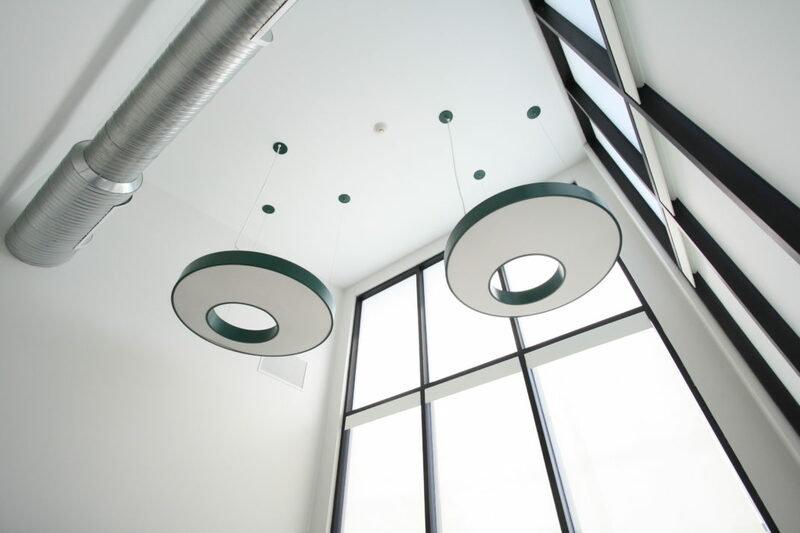 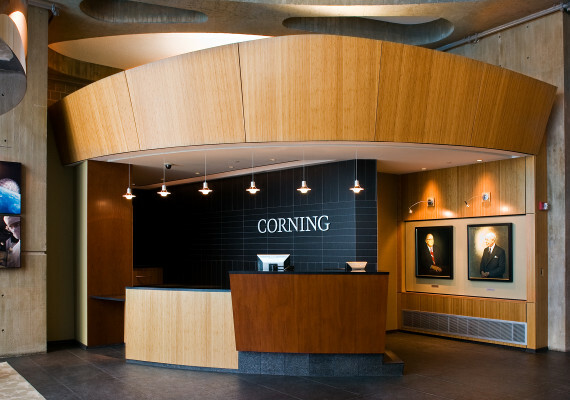 A large circular ceiling and lighting element defines the space and forms the centering element.